Being an entrepreneur who is searching for a lucrative opportunity can be an overwhelming experience. Not only do you have to make a decision as to what kind of industry and business to explore, but you also have to consider how you’re going to find the time and capital to get operations going. Don’t let the stress get the best of you. A Best in Class tutoring center franchise may be the option that is conducive to both your life and goals. In fact, you might find that a children’s franchise with Best in Class Education Center can provide you with the success you’ve been looking for! We understand that you probably don’t want to jump into a franchise relationship without getting to know who has your back. 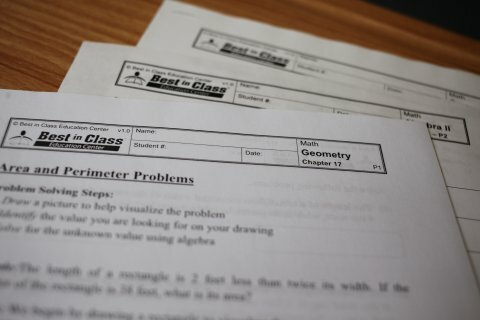 The Best in Class story began nearly three decades ago when educator and founder Hao Lam began tutoring his fellow classmates in math. His methods were so effective that he eventually held standing-room-only classes. After graduating with a bachelor’s degree in mathematics, he decided to use his passion and talent for education to better the community. He opened his first tutoring center franchise in 1995 and by 2010, he was operating 11 locations. In 2010, he became CEO of Best in Class Education Center and began offering children’s franchise opportunities to other entrepreneurs. Today, there are Best in Class education franchises all over the United States spreading a mission of building better teachers to build successful students. In addition, Best in Class plans to expand to the global market in the very near future. We’ve helped thousands of kids build the skills and foundation necessary to excel in school and life, and we intend to help countless more. Simply put, we work hard to set your business up for success. We’ll Get You Going When you become a Best in Class franchisee, the support begins immediately. Before you even open your doors, we’ll provide help such as offering financial incentives and connecting you to third-party lending options. Additionally, we’ll assist with scouting out locations, negotiating leases, and building out your center. We’ll Provide Operational Assistance Once you’re up and running, you’ll have the ongoing support you need. You’ll not only benefit from corporate training, PR, and marketing assistance, but also proprietary Best in Class curricula that’s proven to produce results. Moreover, you’ll have access to software that’ll help your tutoring center franchise run efficiently while reducing overhead. We’ll Support Expansion We encourage innovation. After all, if we were to stifle our franchisees, we’d only be stifling ourselves. Our franchisees enjoy open communication with our corporate team. If you have an idea about the services or curricula you want to offer, we’ll listen. For this reason and more, many franchisees experience growth and opt to open multiple locations. If that’s the path you choose to take, we offer discounts on additional units. However, enough about us; we want to know about you. If you think Best in Class Education is the opportunity you’ve been looking for, reach out. Contact us to find out more about starting your own children’s franchise!